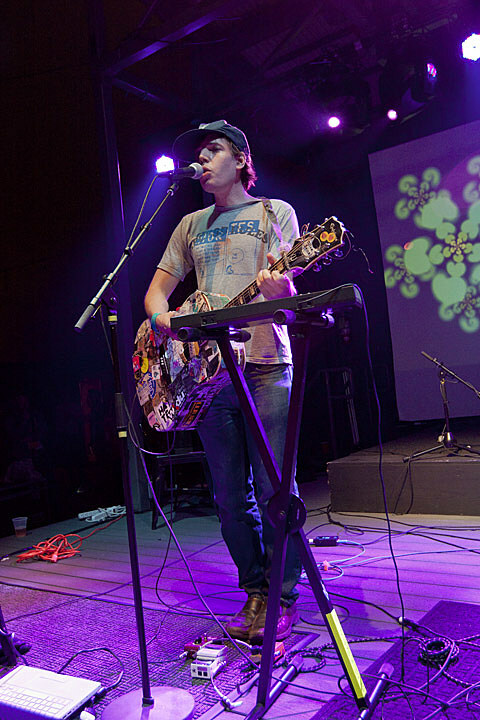 Jeffrey Lewis, who is on tour and opened for Pulp on April 11th, was added as the special guest to the Gary Lucas show happening at Joe’s Pub on April 17. Gary Lucas meanwhile can be found TONIGHT (4/13) at the Bell House (at a tribute to the Shaggs), as well as at Rockwood Music Hall on April 22nd as a guest with Jann Klose, and again at the Bell House on May 18th. On Friday April 13th, a collection of musicians from the rock, pop, jazz, blues, folk, metal, prog, & experimental worlds will be gathering together at The Bell House to pay tribute to the music of legendary 60’s female power trio The Shaggs. Performers include Gary Lucas (Captain Beefheart/Jeff Buckley), Elliott Sharp, Chris Butler (The Waitresses), Supercute!, Laura Cromwell (God Is My Co-Pilot),Mike Fornatale (Moby Grape/The Monks), Ira Elliot (Nada Surf), Eric Slick (Dr. Dog), Julie Slick (Adrian Belew Power Trio), Weasel Walter (The Flying Luttenbachers), Christy & Emily, members of The Loser’s Lounge, and many more. The evening will conclude with a live Q&A session with Dot Semprini, Betty Porter, & Rachel Gould (aka The Wiggin Sisters) of The Shaggs. The concert is being held in connection with The Fremont, NH Town Hall Historical Society, with proceeds to go to The Fremont, NH 250th Anniversary Committee – in honor of the The Shaggs’ hometown and the location of many of their shows. Gary Lucas (Captain Beefheart, Jeff Buckley) on guitars and vocals; Billy Ficca (Television) on drums; Ernie Brooks (Modern Lovers) on bass and vocals; Jason Candler (Hungry March Band) on alto sax; and Joe Hendel (Latest Show on Earth), trombone and keyboards. Jerry Harrison (Talking Heads) occasionally joins the group live on stage and in the studio on keyboards. For this show, “Gary’s guest French underground chanteuse Beatrice Demi-Mondaine” will be sitting in with Gods and Monsters. Institutional Prostitution are also on the bill and Gary Lucas will be guesting with them. Tickets for that show are on sale now.